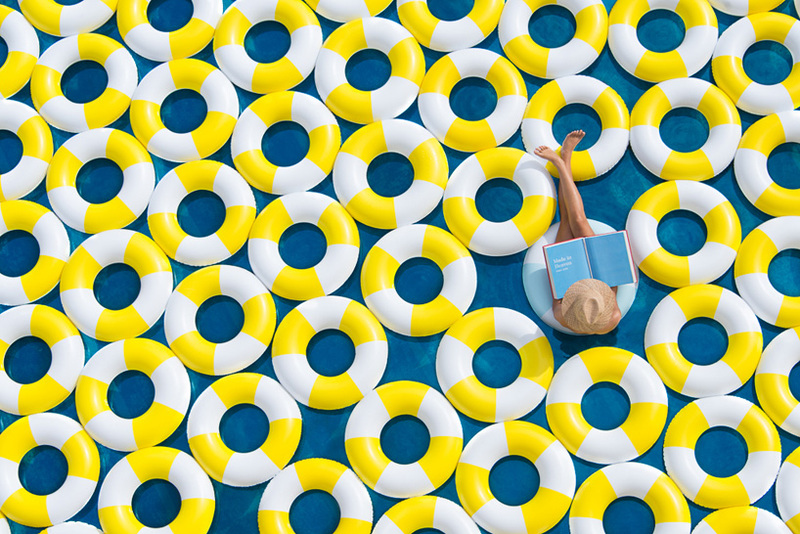 shot at the le méridien ra beach hotel & spa along the coast of spain, ‘poolside’ takes us back to the mediterranean glamour of the 1960’s. 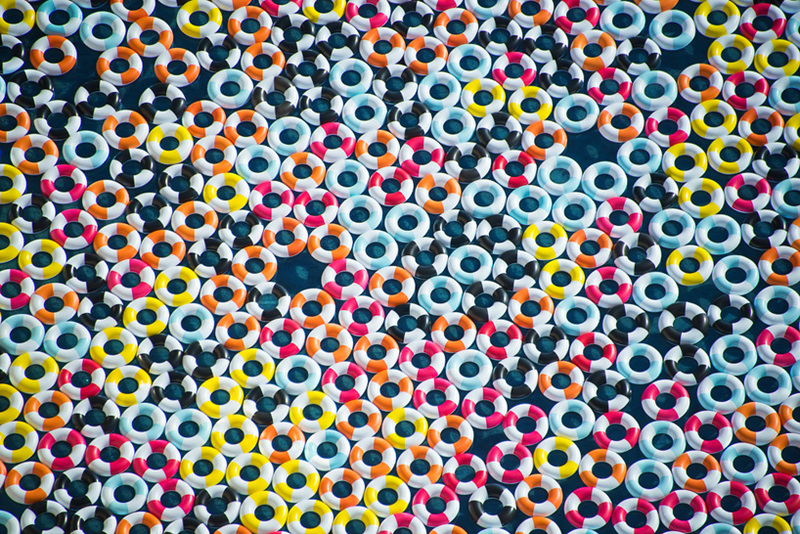 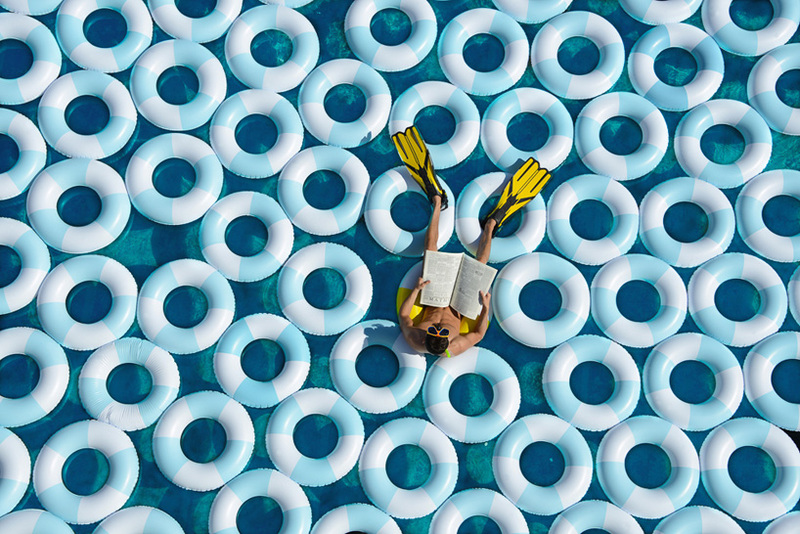 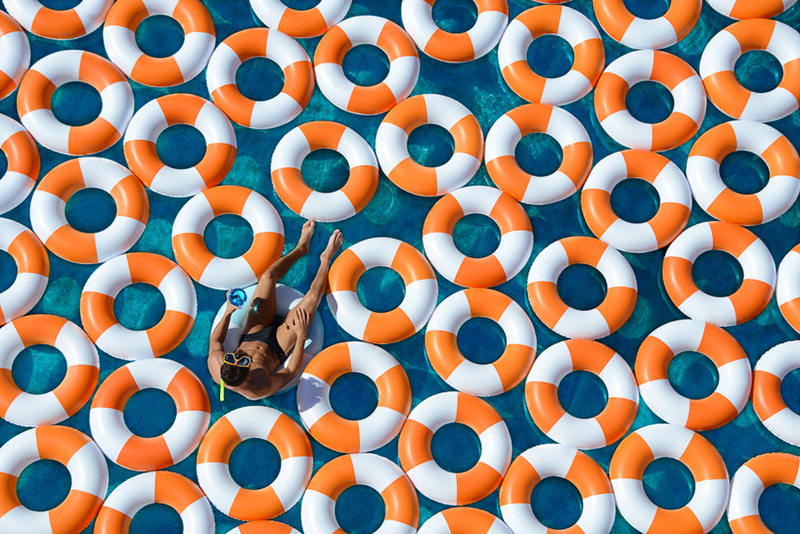 photographer gray malin has designed 1,000 inner tubes within the pristine pool waters, arranging them in eye-catching, neon-hued compositions. 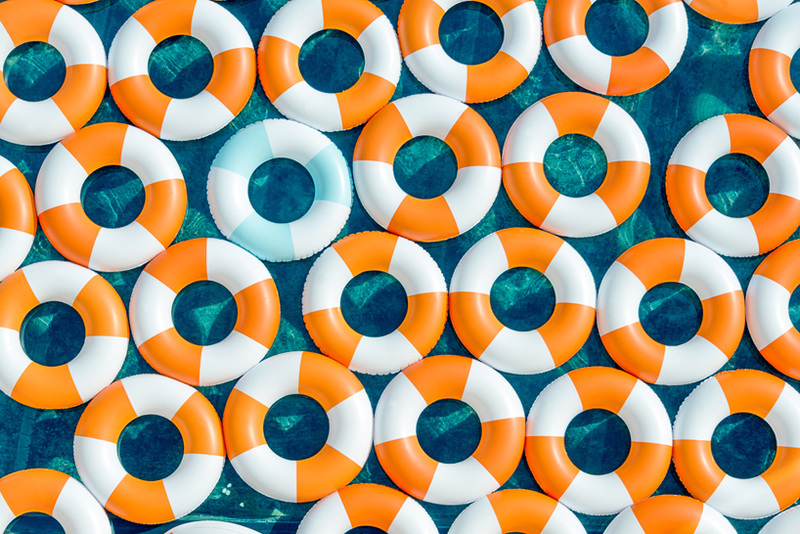 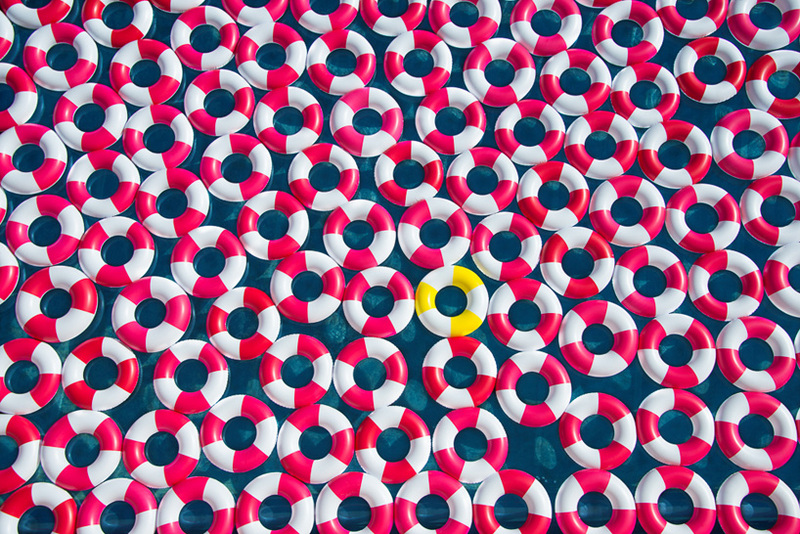 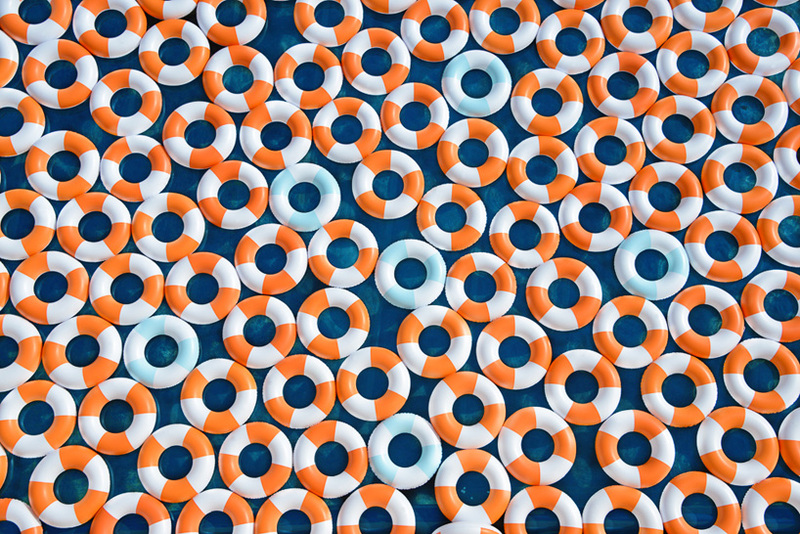 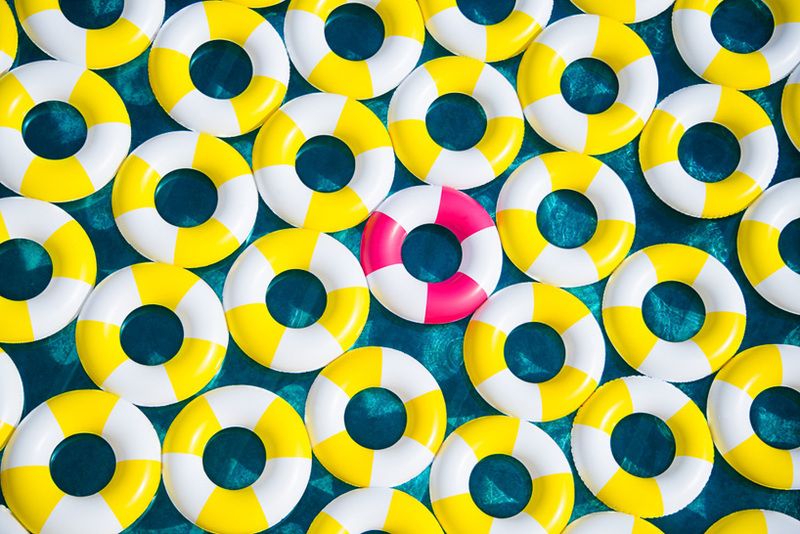 candy-colored pink, hot orange, lemon yellow, baby blue and black striped lifesavers float in varied patterns, sometimes briefly interrupted by a sunbather or swimmer. 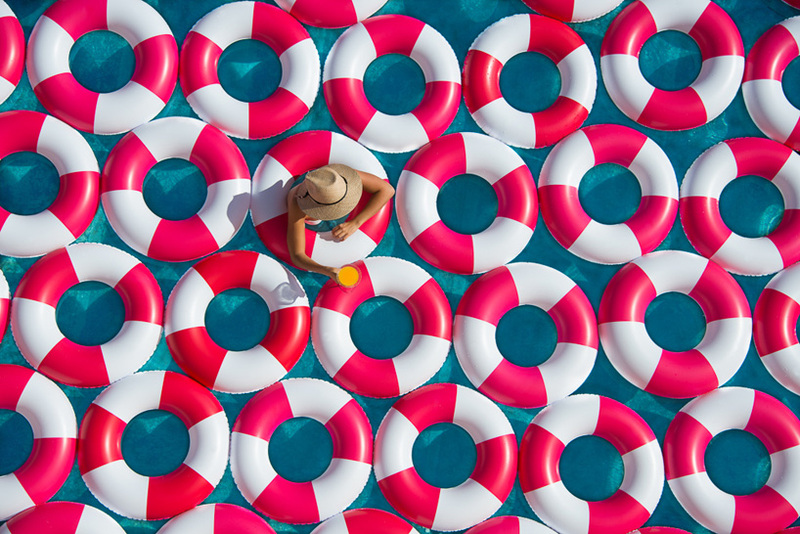 the images restyle our traditional vantage point of pool tubes by taking the viewer above the water’s surface — a result which makes colorful, pop-art like impressions out of the familiar circular float. 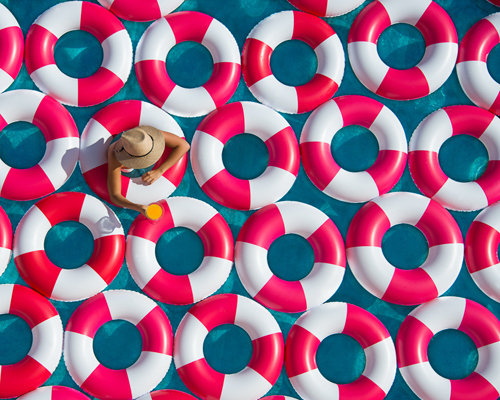 ‘poolside’ effortlessly evokes the ultra-glam 1960’s jet-set lifestyle, while simultaneously sending us swooning for summer.